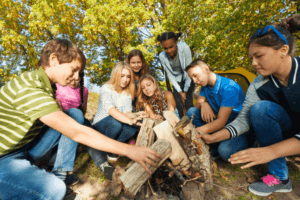 2019 Summer Camps – Trail Blazer Survival School, Inc. Trail Blazer Survival School is the ultimate summer camp destination in the Greenville, SC area. Drop your kid(s) off at our office in Simpsonville (Five Forks) where they will be transported to exciting places to learn new skills, and then be returned for you to pick up. Due to the nature of our training students must be 10 to 14 years of age.